Tis’ the season to make Christmas ornaments! 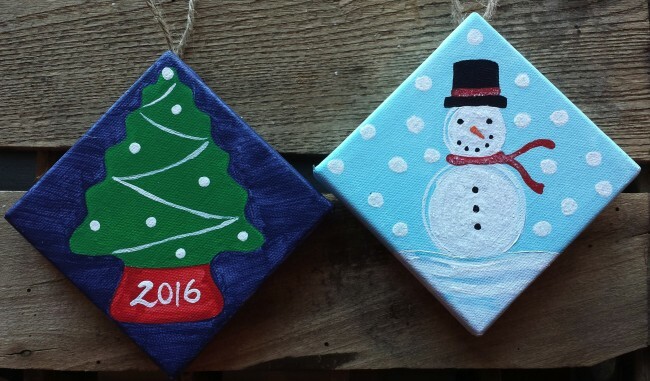 Make your very own ornament(s) to treasure for years to come!! I had a request, so I am changing things up a bit for this weekend. 🙂 I have always loved making ornaments to add that special personal touch and charm to our trees over the years. 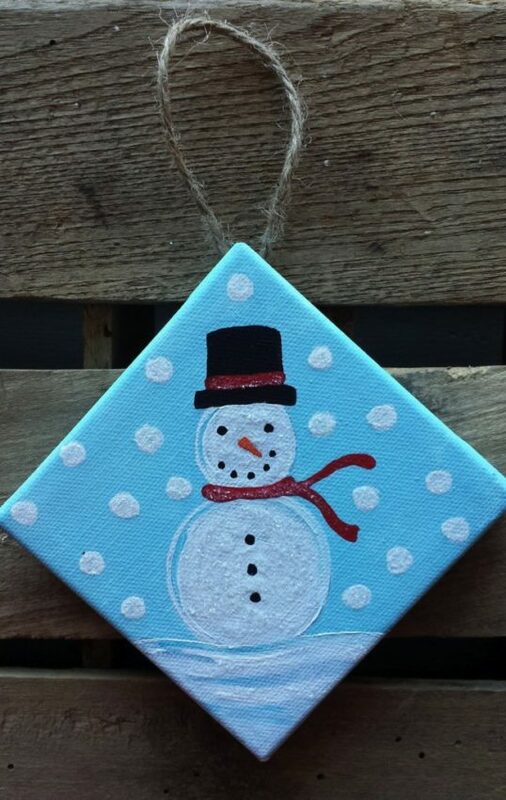 So I’m looking forward to helping kids paint their own ornaments on Saturday. 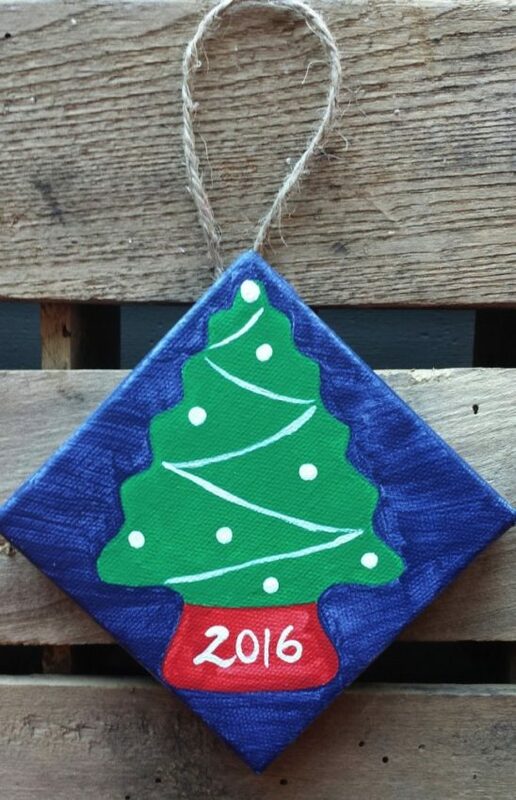 There are two times slots for the Make & Take Ornament Workshop on Saturday, November 19th. The first Make & Take Workshop will be at 10am – 11am and the second is 11am -12pm. Looking forward to working with kids and providing a space to encourage them in the creative process. I have included all the details below. Please feel free to contact me if you have any questions. We will be having fun making ornaments. We provide everything for the kids to make their own Christmas Ornament – just show up! • All necessary supplies, including paints, brushes, aprons/shirts, 4×4 canvas, and clean-up. Complete “Art For Little Eyes” 10 am Registration(s) HERE: Eventbrite. Complete “Art For Little Eyes” 11 am Registration(s) HERE: Eventbrite. Studio space is limited so we appreciate you confirming your reservation. Make both for $15! If you want to make both ornaments, Register for the 10am workshop and pay an additional $5 (per child) at the door….just confirm your space (to stay from 10am – noon) with me at happy@michellemarttila.com. Thank you! Arrive 5 minutes early for your workshop to sign in, put your apron on and mingle before the workshop begins. Vintage Lynchburg 2016	Thank You 2016! Hello 2017! Michelle, these ornaments are beautiful!! The kiddos are going to love making these!! Thank you so much Keri!! 🙂 Always inspiring seeing what you are up to at repurposingjunkie.com!! These ornaments are gorgeous, you have given some ideas for me to do with my Beaver scouts. Thank you. These little ornaments are adorable! I’m sure the kids really enjoyed making these. I’m not a kid, and I would have fun making these. Thank you sweet friend!! :) Homemade ornaments are the best!! Love the decorative star you made…added it to my DIY Pins! !